Our company has achieved widespread recognition in providing Payroll Software. 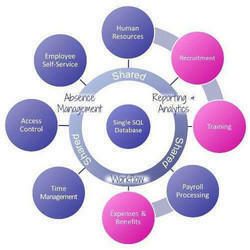 Being an eminent company, we are involved in rendering HRMS Payroll Software. Easy calculation of salary, bonus, perks, leave etc. Transparency between Company and employees. 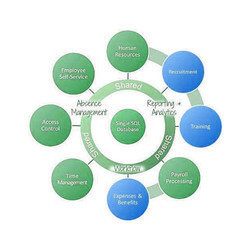 Our company is a master in providing SmartSuite Payroll Software. 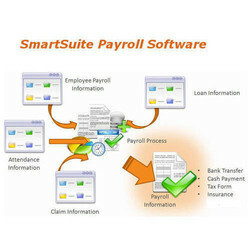 SmartSuite Payroll Software for small and mid-sized businesses and accounting professionals. Employee Self Service (ESS) under the brand Payroll - It is an intranet/internet application that provides employees personalized and secure access to most frequently requested payroll related information such as Pay Slip, Income Tax Report, Previous Income Details, Digital Signature Form 16, Leave Management Module, PF Nomination, Reimbursement Management, Attendance Management, and Time sheet Management etc. SmartSuite Payroll Softwareoffered by us is Web-based and can be easily integrate and link with our Smartsuite Payroll Software and feature user-friendly operations. We are a unique entity in the industry, actively committed towards providing an optimum quality range of Payroll Software.